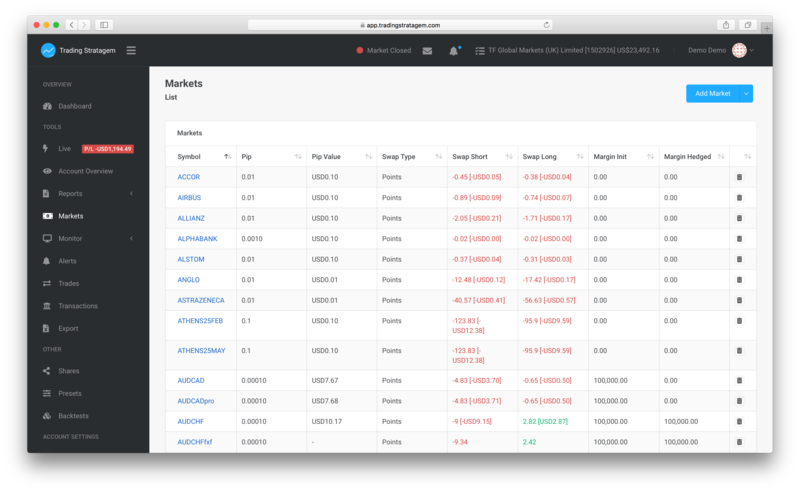 On the Markets page you can quickly see the swap rates or the margin requirements for a particular market. You can sort the columns to easily find what your are looking for. We also calculate the costs in your base currency, so you don’t need to waste your time doing math. The swap will be estimated for you open positions on the Live page.